COLOGNE, Germany – In the late 1970s the German company Bosch introduced the first fully functional ABS for cars. 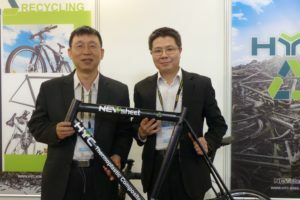 Now, the ABS technology that improved safety for cars and motorcycles in critical traffic situations, is available for the first time for bicycles. 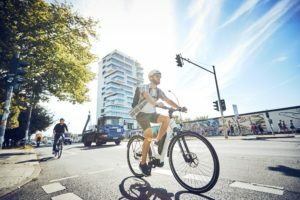 Magura and Bosch have joined their efforts in a project to develop an ABS brake system, which increases rider safety for e-bikes. 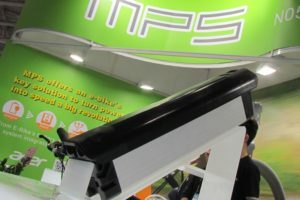 Magura developed a completely new brake, as a system with ABS needs more braking fluid and also more spare volume because of the pulsating function of the brake. A bigger and more ergonomic 3-finger-lever offers better control and improves sensitivity. The system is made up of a master cylinder, caliper (front: 4 pistons, rear: 2 pistons), brake pipe, adaptor (incl. 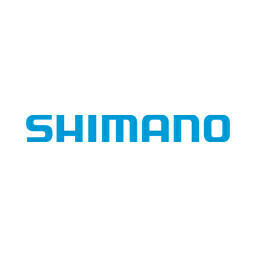 cradle for the Tone Wheel Sensors), 2 sensor discs, and 2 tone wheels from Magura, while Bosch is responsible for the ebike system, ABS control unit, control lamp, and wheel speed sensors. 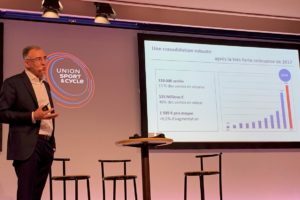 As an introductory project for the new system selected fleet partners will receive pedelecs mounted with the eBike ABS in autumn 2017. The product is up for sale beginning in Autumn 2018. 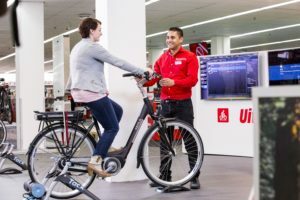 Only trekking and city bicycles with 28-inch tires will be fitted with the eBike ABS. ZEG developed in cooperation suspension fork producer SR Suntour and Magura a fork and frame integrated version of the HS hydraulic rim brake, the HSi. The main advantages are the easy handling while wheel changing, the tool free adjustment, the improved rigidity and increased braking power. 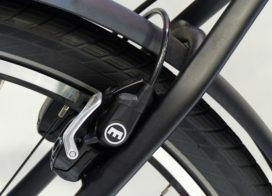 ZEG is specifying the brake on both, e- and regular bikes of their brands Hercules, Pegasus and Wanderer. For model year 2018 both the brakes and the fork are exclusively delivered to ZEG. From 2019 on, the system, including fork and brakes, will be available for other, non ZEG, brands too.